Has Zee Entertainment finally cracked the code for online success? 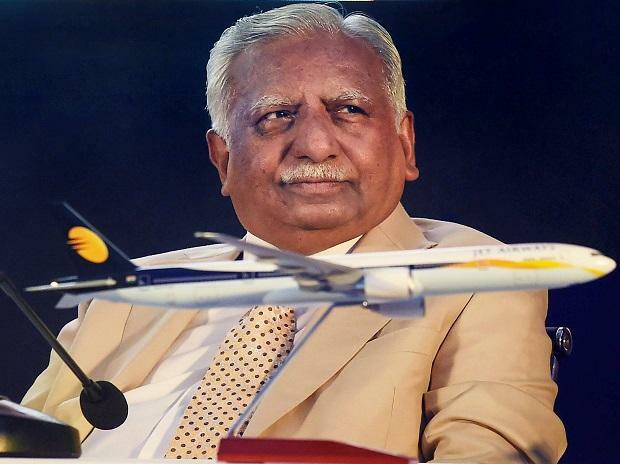 For more than two decades, Naresh Goyal has ruled the domestic skies. With his resignation from Jet Airways, an era has come to an end in Indian aviation. From humble beginnings as a cashier in his uncle’s travel agency, Goyal went on to become the country’s most enduring aviation entrepreneur, transforming the travel experience of Indians along the way. Goyal, who sold seats and cargo loads of other airlines as a general sales agent, launched Jet Airways in 1993. Jet was not the first private domestic airline of that era, but the only one to survive to date. East-West Airlines began in 1992, but shut down four years later. Goyal was able to attract the best aviation talent from within India and abroad and this, coupled with his vision and ability to forge partnerships, laid the foundation of the carrier. Goyal’s early years as a general sales agent helped him build rapport with airlines around the world and he has been a regular visitor at the annual general meetings of the International Air Transport Association, a lobby group of over 250 global airlines. It is this ability to forge partnerships that helped Jet to secure a $379-million investment from Etihad Airways in 2013 (first foreign direct investment in an airline after relaxation of norms) and enhanced commercial cooperation agreement with Air France-KLM in 2017 — a first such extensive collaboration by an Indian carrier. Goyal has been known as a tough negotiator and suave businessman who helped sway policy environment to suit his airline. The other abiding trait is hankering for control, something which was seen during negotiations with Etihad Airways in the last few months. The issue of control was one of the sticking points between the two sides. The talks collapsed and eventually the lenders took majority control of the company on Monday. Goyal’s legacy has been to create a world-class home-grown airline. Jet raised the bar on products and services and also has many firsts to its credit in India — the first to launch 24-hour reservations, tele check-in facilities, frequent flyer programmes, co-branded credit cards, streaming of in-flight entertainment, among others. "Today is indeed a sad day for Indian aviation. By launching a truly world class airline, Naresh and Anita Goyal made India proud. This is also wake-up call for Indian policy makers. We urgently need to address structural challenges that make India's airlines uncompetitive around the world," said SpiceJet chairman Ajay Singh in a statement. Two significant decisions — the acquisition of Air Sahara and an aggressive international foray in 2006-07 — continue to impact the airline to date. Goyal, it is said, was advised by his close colleagues against the Air Sahara acquisition. It was not worth the price the airline was paying, he was told. But Goyal persisted and eventually Jet acquired Air Sahara. The airline management tried restructuring and rebranded the airline JetLite, but the acquisition has been a drain on its resources. Three years ago, Jet wrote off its entire Rs 1,800-crore investment in JetLite. Goyal faced his first crisis in 1997 when the government changed rules to disallow foreign airlines from owning stake in Indian carriers. Back then, Jet had stakes from Gulf Air and Kuwait Airways and many thought the airline would shut operations. It did not. Goyal acquired stakes from two Gulf airlines. Years later, Goyal and Jet would face accusation of underworld links. Questions were raised in Parliament, too, but the charges were never proved. With the airline negotiating many storms and Goyal emerging stronger each time, supporters were certain that the “chairman” would pull the airline through yet another turbulence. He has managed to save the airline but at least for now it will be Jet with Goyal.